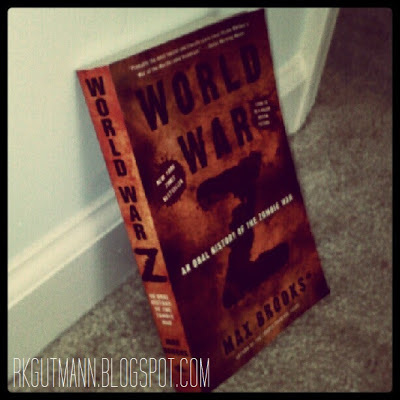 Mini-Summary: The Zombie War has been waged around the world, and the human race won, but at what cost? This book is a compilation of thoughts and experiences from warriors and survivors alike. I’m not one to dally in the horror genre, but Halloween was upon me, and I was looking for something to spook me. Enter: Max Brooks' World War Z: An Oral History of the Zombie War. I don’t usually read books in accordance with the seasons or holidays, but I thought, what the hey? Zombies could make for a fun time. So many of my friends raved over this book. I really wanted to love it, but as with most kinds of relationships, it was good in theory, but it just didn’t work out. It’s not you, it’s me. Genre: Post-Apocalyptic Fiction, Zombie Lit. Stick a Plant in it!